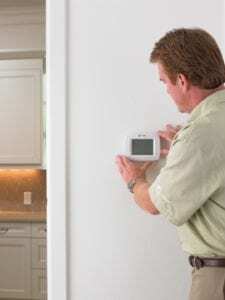 The last thing you need in summer or winter is for your HVAC system to stop working. Whether you have major problems or minor ones, our team at Cote’s Mechanical can help. We provide the best air conditioning and heating services in Ponder for homeowners and commercial property owners. 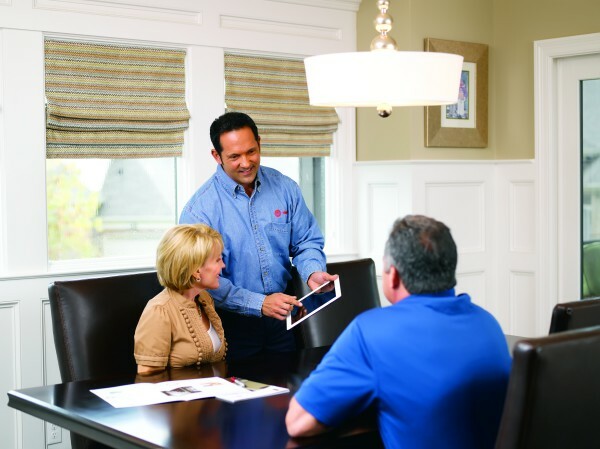 We strive to ensure that you enjoy optimal home comfort – no matter what it feels like outside. When you need service, keep in mind that our company offers free service calls with repairs. We also offer free estimates when you need a new HVAC system installed. When you’re looking for outstanding and affordable heating and cooling services in the Ponder area, you can rely on Cote’s Mechanical. We’re available for emergency HVAC repairs around the clock – even during evenings, nights, and weekends. Cote’s Mechanical has an experienced team of technicians available to take care of all your heating and cooling needs. From installations to repairs and maintenance, we have the tools and skills to keep your HVAC system operating as efficiently as possible. Our company offers quality A/C and heating unit installation and repair in Ponder. Whether you want to upgrade to a more efficient system or need repairs, we’re here to assist you. In addition to our repair and installation services, we also offer replacements and maintenance. Replacement services are needed when you have a system or equipment that’s worn out or has severe damage. Maintenance on a routine basis is an important part of making sure that your HVAC system reaches its expected lifespan and only needs minor repairs. Our company also provides other services that improve your home’s comfort, including ventilation and attic insulation. Co-owners Cote and Kristi Wyatt have been dedicated to providing customers in Ponder with the best service since 2001. At Cote’s Mechanical, we take pride in going above and beyond to make sure that customers have HVAC services that they can rely on. You don’t have to take our word for it, though; Our online reviews and accolades from organizations also show our commitment to superior service. The Better Business Bureau has given Cote’s Mechanical an A+ rating and accreditation, while Trane has given us certification as a Trane Comfort Specialist. The Air Conditioning Contractors of America (ACCA) has also given us accreditation for our hard work. Our recognition even includes certification for North American Technician Excellence and a Super Service Award from Angie’s List. You can also learn more about our service from our customers’ online reviews. You’ll notice that many of these reviews mention how fast a technician arrived when customers needed emergency repairs during summer. These reviews also mention excellent customer service overall from our experienced technicians. Ponder offers residents a good combination of incomes that are higher than average and home prices that are about average. The average household income in Ponder is $89,226, which is more than the national and state averages per household of about $55,000. Average home prices in this town are around $147,400, which is just slightly more than the Texas average of $142,000 and much lower than the national average of around $184,000. The Town of Ponder has a population of around 1,400. Those who live here can reach major cities in the area easily. Denton is about 20 minutes away via FM2449, while Dallas is about an hour away on I-35E. Fort Worth is about 40 minutes away via I-35W. Ponder is a small town that’s mainly residential, although there are a few stores and other amenities within the town. Ponder Park offers a playground and plenty of green space for outdoor fun and relaxation. Those who are looking for a good meal when they don’t want to eat at home can head to Ranchman’s Cafe for steak, burgers, and other delicious food served in a rustic environment. Martha’s Taco Shop offers filling tacos and other Mexican foods served in a cozy atmosphere. The Town of Ponder has a number of volunteer opportunities available for residents to explore. These include the Fire Department, Lady VIP, and local Boards and Commissions, such as the Board of Adjustments and the Planning and Zoning Commission. These opportunities give residents a chance to improve their community while meeting fellow community members. If you’re looking for quality heating and cooling services for your home in Ponder, contact Cote’s Mechanical today. Our team of technicians offers prompt, high-quality installations, repairs, replacements and other services for homeowners and commercial property owners in Ponder.